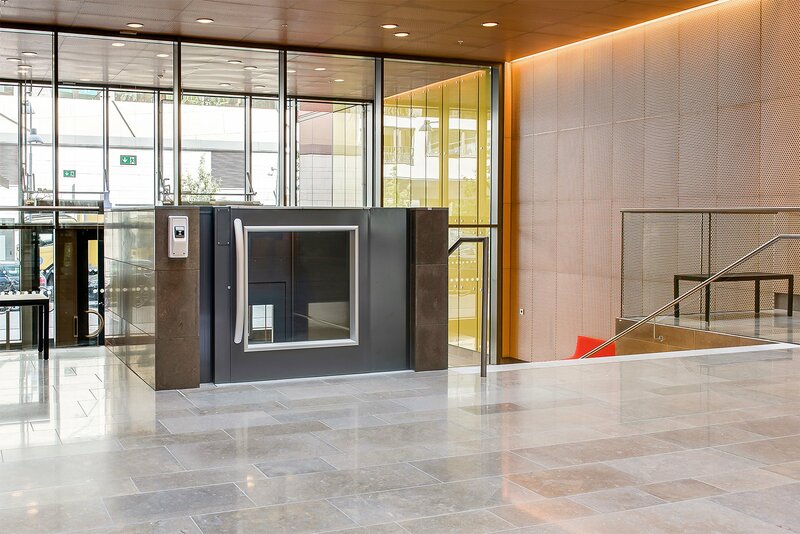 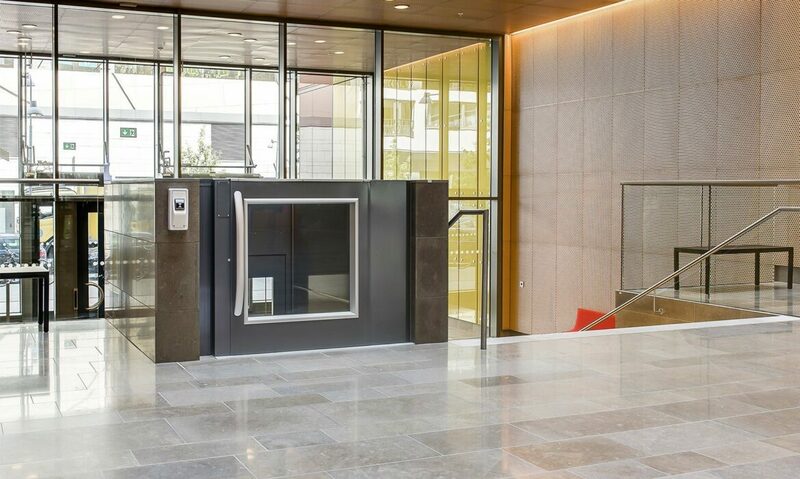 Cibes A5000 is perfect office lift for the elegant lobby of the Uarda 7 complex in Stockholm. 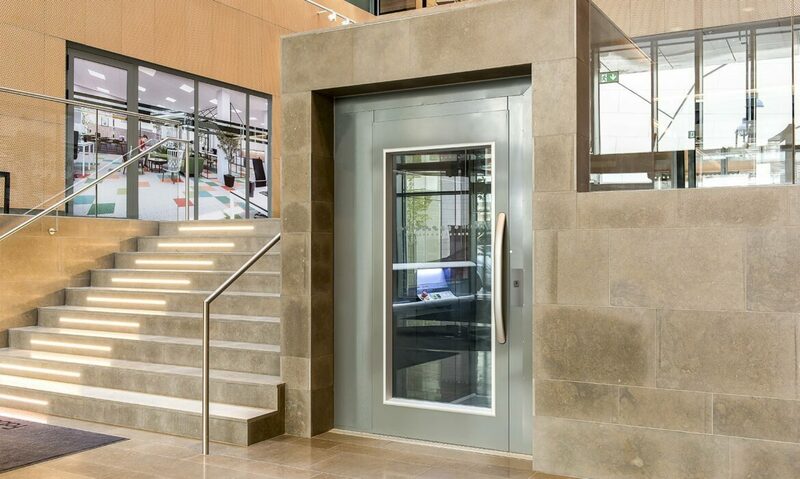 The lift is completely encased in natural stone. The mix of steel, glass and natural stone creates elegant contrasts. 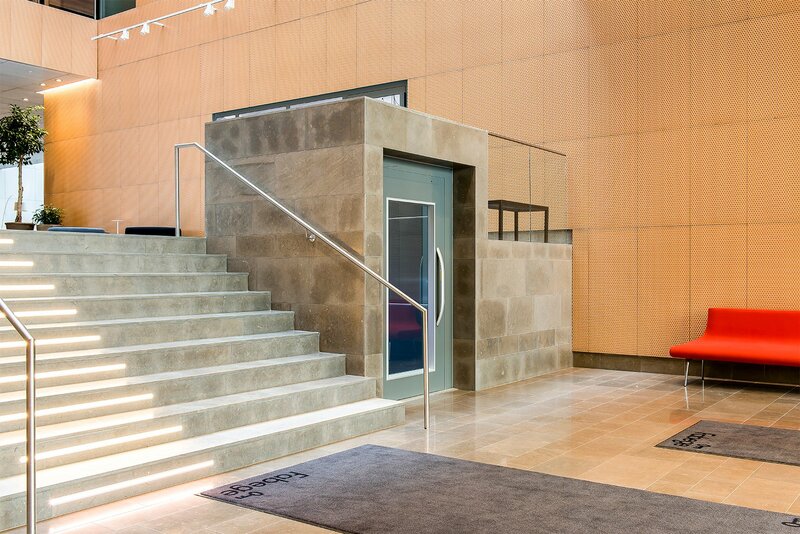 The gate on the upper level helps preserve the airiness and light of the beautiful lobby. 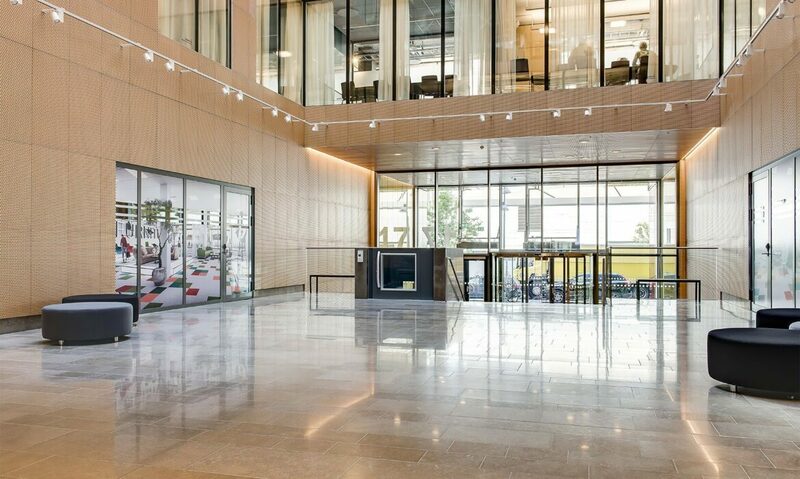 Open views as far as the eye can see.